Since my birthday is coming up (and since I seem to be lacking in ideas for blog posts lately), I thought I'd put together a quick list of things that are on my wishlist! I make wishlists for my birthday and Christmas because Jeff and my parents like to have them, but I try to put lots of things on them so I still have no idea what I'm getting. 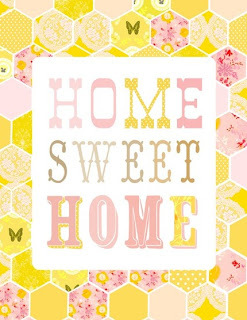 Really, I feel weird even having a birthday list this year because I kind of feel like I'm getting a house for my birthday (we close on May 20th, my birthday is May 31st). And really, what could be a better present than a brand new house?!?! Plus, there are going to be a bunch of random house-related purchases that need to be made right away (we're lucky that all our appliances are provided by the builder, but we have to get things like a lawnmower and such), so I don't really want to spend our money on birthday gifts. But nevertheless, I believe in celebrating milestones in life, and I don't think my husband would let me get away with no birthday gifts. He's sweet like that. A batter dispenser! This is genius! Jeff and I are collecting the Disney classics as they come out on Blu-Ray, and this one's next! 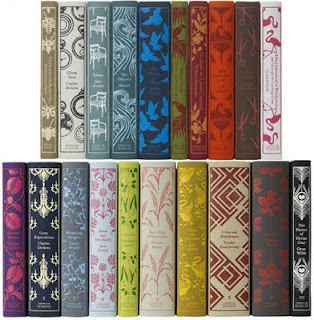 Then of course there are the Penguin Hardcover Classics (you may remember these from my Christmas List!). We have Little Women and The Hound of the Baskervilles, and I can't wait to get my hands on the others! Next up... a staple gun! I have big dreams for the new house, and many of them involve reupholstery of old furniture. In fact, I've already got an antique chair sitting in the apartment just waiting for a new cushion! So of course, I NEED a staple gun! Haha. These next two things are just cute little Etsy prints. I'm currently planning on using this first one as inspiration for my crafting/studying/sewing room... so fresh and girly and cute! This next thing is a little silly, but I saw it on a blog friend's birthday wishlist and I wanted it too. I kind of feel like this book is the sort of thing that is a cute present for bridal showers and such, but once you're married it just says "I don't think you can take care of your home." Except I actually want it, so I totally wouldn't think that. Haha. Since I'm about to have a whole 2600 square feet to take care of, I think I might need some tips for cleaning and organizing efficiently! That's it! Anybody else have a birthday coming up? What's at the top of your wishlist? That batter dispenser is genius! That is going on my wish list for my birthday in June :) This reminds me I need to start that otherwise its like the week before and I can't think of any hints for family and friends! That batter dispenser IS genius! btw, I'm a Houston blogger and I hope you come visit and visit our Houston blogger page! I NEED a staple gun too! We've also been collecting the Disney movies, but our collection is still small. I saw on Pinterest that people used old ketchup bottles for batter dispensers like that, maybe until you get one of these you could give that a shot. Happy early birthday! Lusting after that batter dispenser! We're collecting the Disney DVD's as well.. I hate how they keep "locking" them in "the vault". Making my collecting very slow moving lol. ahh, i'm DYING to have a batter dispenser!! i always want to make cupcakes but i hate the batter pouring part! Also: I wanted to say thanks for your thoughts on my What I'm Feeling post. It really helped! Happy to report the Mr. and I decided on which law school I'll be attending--the thoughts from you and others helped a ton! Thanks! i love katie daisy prints! her whole collection is just gorgeous. she actually designed some stationary, frames, and a dining collection that are at target right now!